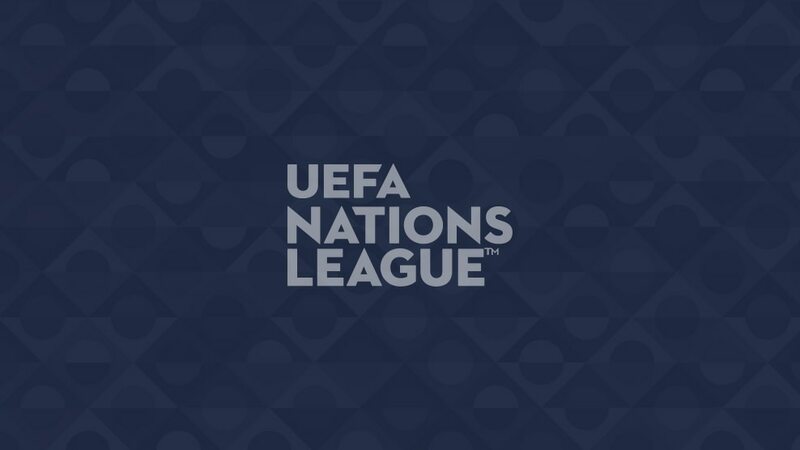 The Netherlands took the point they required to reach the UEFA Nations League Finals in dramatic circumstances against relegated Germany. Timo Werner and Leroy Sané struck inside the first 20 minutes in Gelsenkirchen to give the hosts a deserved lead, but after Thilo Kehrer and Nico Schulz spurned second-half chances, Quincy Promes cut the deficit with five minutes remaining. Sent up front for the closing stages, Netherlands skipper Virgil van Dijk thumped in the equaliser in the 90th minute, securing his side's Finals place and dashing France's hopes. A delightful Patrik Schick finish for the Czechs relegated neighbouring Slovakia from League B. The Slovaks started brightly before the 22-year-old Roma forward latched on to Jakub Jankto's through-ball and lobbed Martin Dúbravka shortly before half-time – a lead the Czechs held to secure their safety. These sides played out a second 0-0 draw, Nicolai Jørgensen coming closest to breaking the deadlock for the promoted Danes when he robbed Richard Keogh and went through on goal, but his shot hit the post. Relegated Ireland came no closer than a Robbie Brady free-kick into the side-netting. The visitors secured first place, Ola Kamara getting the goals either side of half-time – the first from Omar Elabdellaoui's unselfish square header and the second from an Ole Selnæs corner. The home side ended with ten men after Valentinos Sielis was sent off for a high tackle on Selnæs, and finish third in the section. Bulgaria were always playing catch-up, needing to at least match Norway's result while improving their goal difference. Relegated Slovenia frustrated their hosts until midway through the second half when substitute Galin Ivanov gave Bulgaria hope. Miha Zajc quickly extinguished it. Petar Houbchev's side finish second. Georgia finish unbeaten. Giorgi Chakvetadze crossed for Giorgi Merebashvili to head the opener, and Chakvetadze then hit the post before getting the goal his display deserved six minutes from time. Substitute Oralkhan Omirtayev pulled one back, but the section winners held firm to record a fifth victory in six games. Andorra failed to capitalise on a man advantage in their final game, losing their nerve a little following Valērijs Šabala's dismissal at the end of the first half. The ten men came closest to winning it, substitutes Igors Tarasovs and Roberts Uldriķis having their best efforts. Enis Bardi cut in from the left to bend in FYR Macedonia's opener in the first half, and Ilija Nestorovski all but confirmed their promotion to Group C with a header and a stylish finish on the turn. Aleksandar Trajkovski smashed in a late fourth, Igor Angelovski's side finishing the campaign with 15 points. Armenia took the lead with an early header, but Marcel Büchel's superb shot from distance just before the break took the wind out of their sails. Nicolas Hasler pounced on a defensive mistake to make it 2-1 to the hosts just after the restart, but Aleksandre Karapetyan levelled late on.